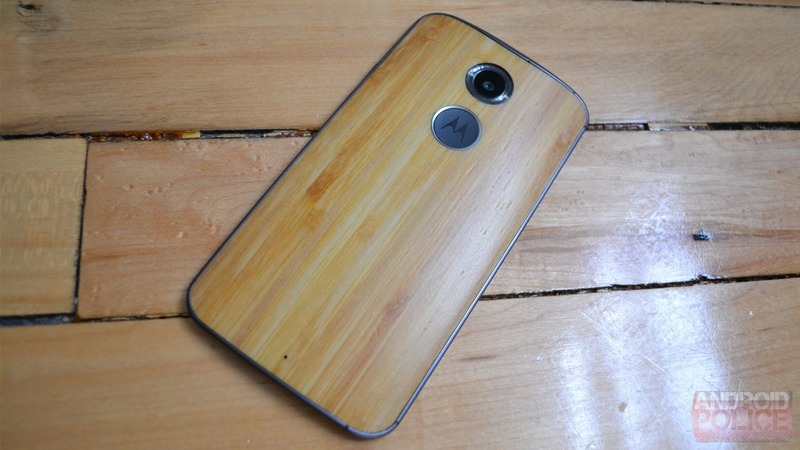 The original Moto X was a very well-reviewed phone, but it just didn't sell as well as Motorola and Google had hoped. It deserved more attention than it got, but the smartphone consuming public can be a fickle beast. That's why this year's Moto X makes a few changes to appeal to a wider audience. It's a little bigger, a lot faster, and has a more premium design. This approach is rife with benefits and a few drawbacks, but one thing is certain, this is one of the best smartphones ever created. 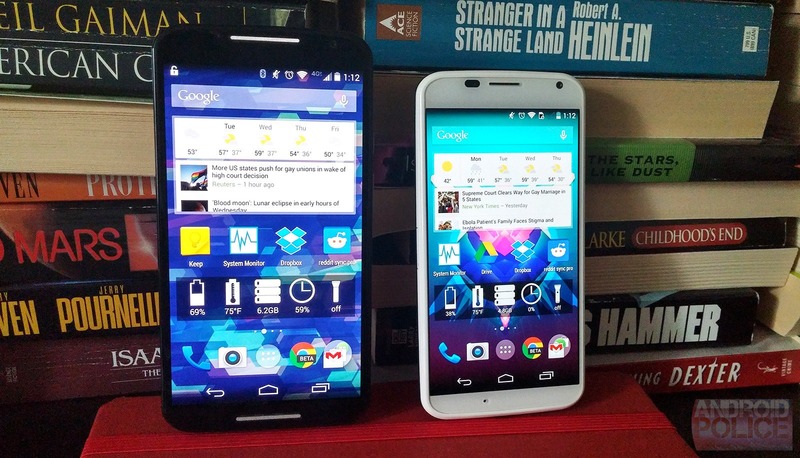 Let's get one thing out of the way first—yes, the new Moto X is larger than last year's unit. With a 5.2-inch screen, it has mostly left the realm of comfortable one-handed use. In a market where consumers have shown they like big phones (and they cannot lie), fielding a flagship device that's only 4.7-inches is a risk. Motorola tried it and didn't see the results it wanted, so here we are. The phone is big. The device itself is about a centimeter wider than it was last year. You can use it with one hand to a degree, but you can't reach enough of the screen to make it practical long-term. However, the shape of the Moto X is fantastic, making it much more comfortable to hold than many devices. The edges taper down to 3.8mm in thickness, but in the middle of the back it's almost a full centimeter. I'll get to the screen more in a bit, but the way the glass meets up with the body of the phone deserves some attention. Do you remember the Nexus 4? That phone had a cool front glass panel that curved down at the edges to meet up with the sides. 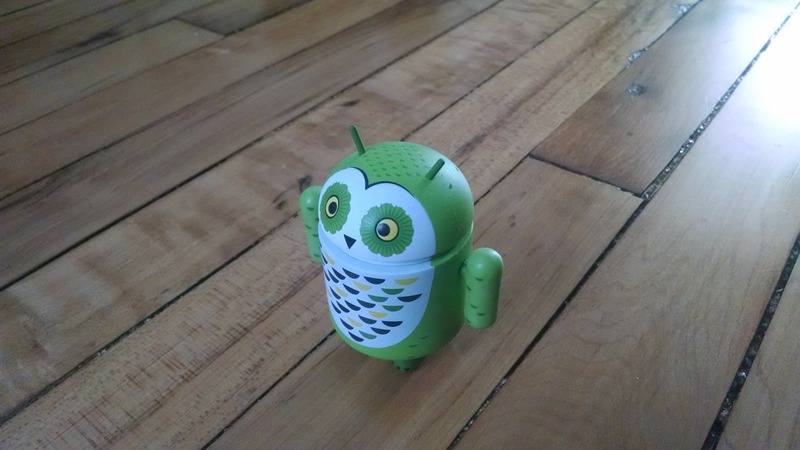 The new Moto X does the same thing, and it's wonderful. There's no crevasse there to catch dust, and the shape of the screen is comfortable. I love swiping in from the edge of the screen on this phone. 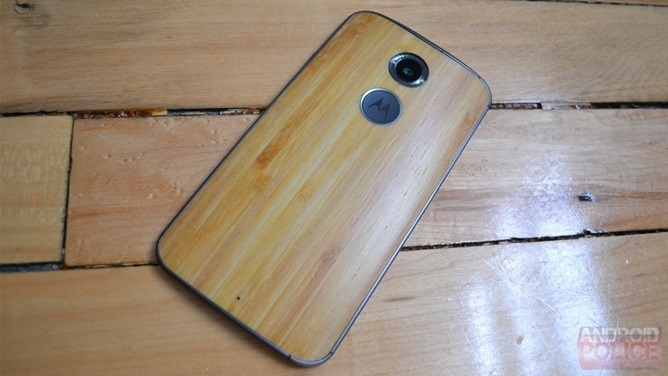 Last year's Moto X had a solid all-plastic design, but this year Motorola kicked it up a notch with some metal. The rim around the edge of the phone is now a matte aluminum that allows the front and back of the phone to blend nicely. Depending on the colors, the first gen X could look a bit mismatched where the two halves came together, but not this year. The metal band is also part of the antenna system in the Moto X. I suppose it's doing its job—I have had no reception problems to speak of. On the right side are the power and volume buttons—both made of the same matte aluminum. 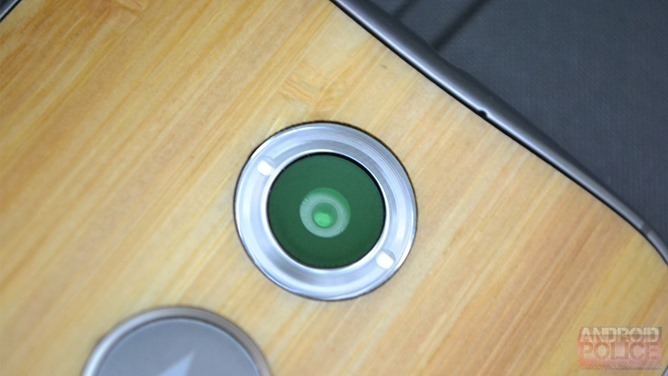 The power button is heavily textured to make it easier to find without looking. There's only one speaker on the face of the Moto X instead of two like on the new Moto G. That's a bummer, but the speaker is very loud and clear. Motorola has always done well with speakers, though. 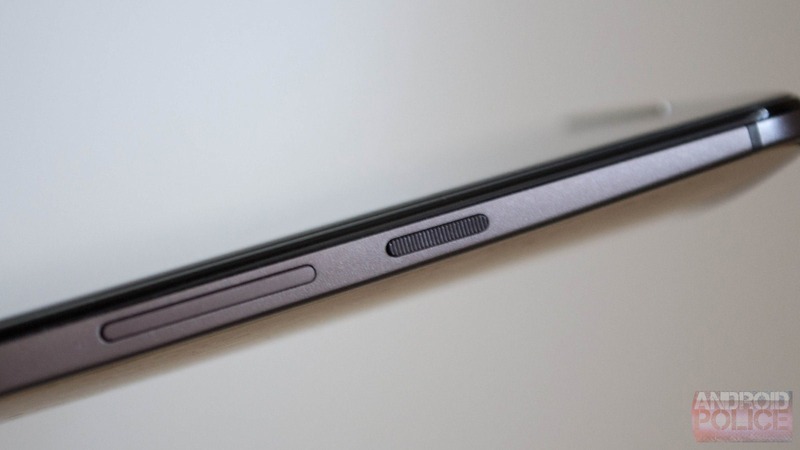 On the back of the phone is one design feature that's pretty contentious this time around—the dimple. Maybe this year we should rename it the crater, the divot, or the pit. 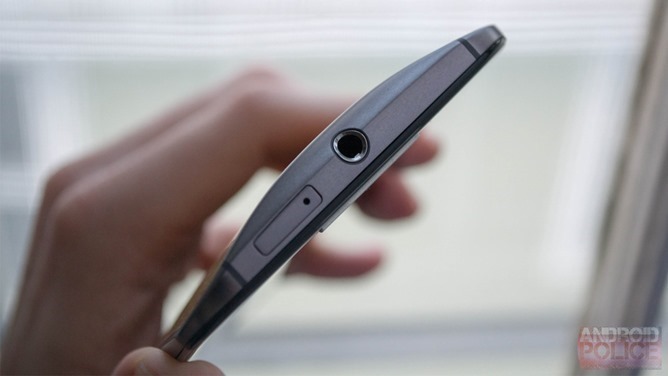 Whereas the 2013 Moto X has a subtle little depression that made for a nice place to rest your finger, the 2014 Moto X has a larger plastic depression with a metal ring around it. This is the only aspect of the design I'm not thrilled about. It breaks up the elegance of the back and seems vaguely out of place. I suspect this was done to make manufacturing easier, but I will say it's still a good point of leverage when holding the phone. 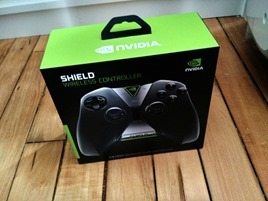 The sharper edge even makes it a little easier to control the device now that it's bigger. The back of the phone will be dramatically different depending on the options you choose in Moto Maker or what you decide to get in the store. Carriers will be stocking the regular plastic backed versions, but some bamboo and black leather units are going to be available too. You still get your choice of a black or white front, though the addition of several more sensor holes make the white one look a little too busy in my opinion. The back is where all the fun happens. There are 17 different plastic colors, fewer than last year. However, you still get four different wood choices, and new this year are the four different leathers. The accent color is a bit less appealing than the OG Moto X as it only affects the speaker grilles and the ring around the dimple/crater. I have the bamboo wood back on my unit, and I quite like it. It looks beautiful and feels very sturdy. Even the plastic is cooler this year as the shape fits much better with the body of the phone; it sits inside the metal frame, rather than just being bolted to the front half of the phone. The overall Moto Maker experience is vastly improved this year with easier navigation and a less confusing layout. Moto Maker is still unique in the smartphone market, and I'm pleased that Motorola opted to continue it. 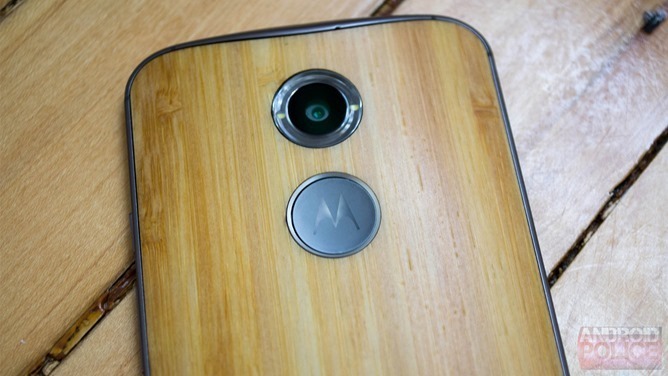 There is no AT&T exclusivity this year, so if possible, you really should pick up a Moto X from Moto Maker. 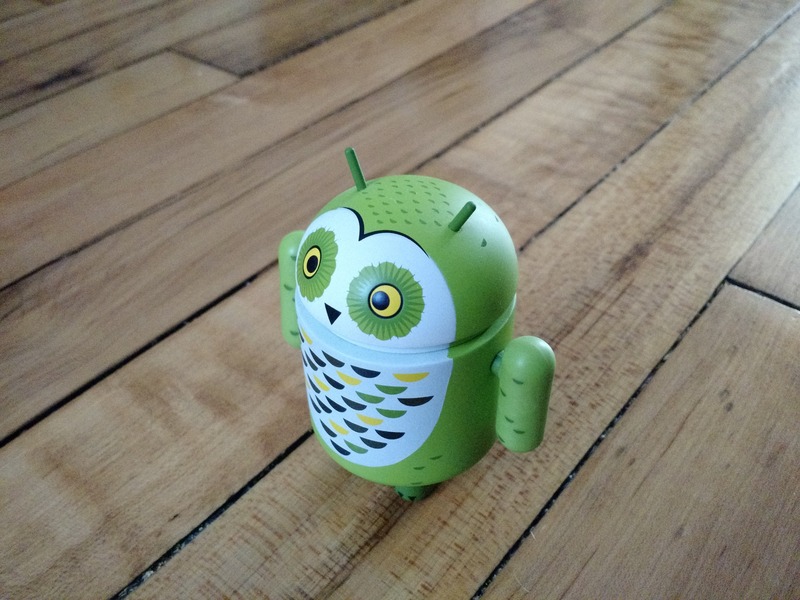 Even if you don't get a lot of crazy customizations, the new Moto X is a lovely phone. Motorola stepped it up to a Snapdragon 801 this year, which is still a very respectable processor. Some devices are starting to ship with the 805, but the new Moto X is still in a much better position this year than its predecessor was in 2013. That phone had an older dual-core Snapdragon S4 Pro and some dedicated DSPs to make all the display and voice stuff work. Motorola called this the X8 computing platform (2 CPU cores, 4 GPU cores, and 2 DSPs). It was a weird marketing thing, really. 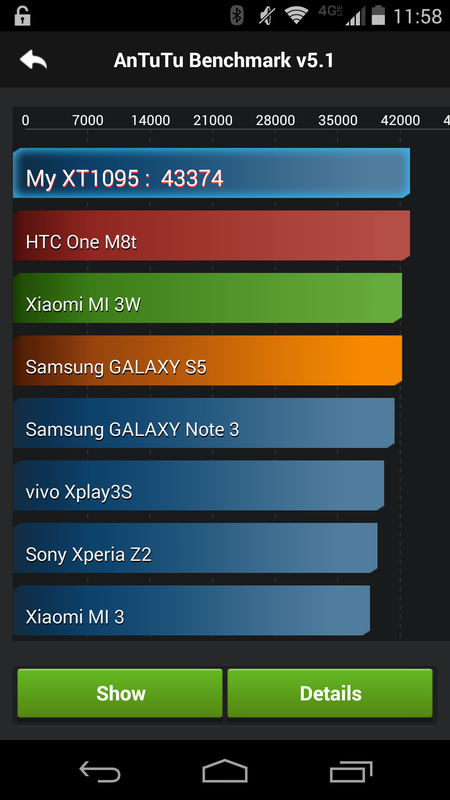 The hardware built into the 801 allows the Moto X to do all the things the last one did and more. The new Moto X again has 2GB of RAM and 16GB of storage in the base model. There's still no microSD card slot, though. 16GB will definitely not be enough for some buyers, so the $50 upgrade to 32GB might be necessary. Motorola isn't exactly swinging for the fences when it comes to specs, but why stick with 2GB of RAM? I really don't see this device benefitting from more. It's a very clean build of Android with minimal background stuff. Even the carrier versions don't have a ton of crapware. 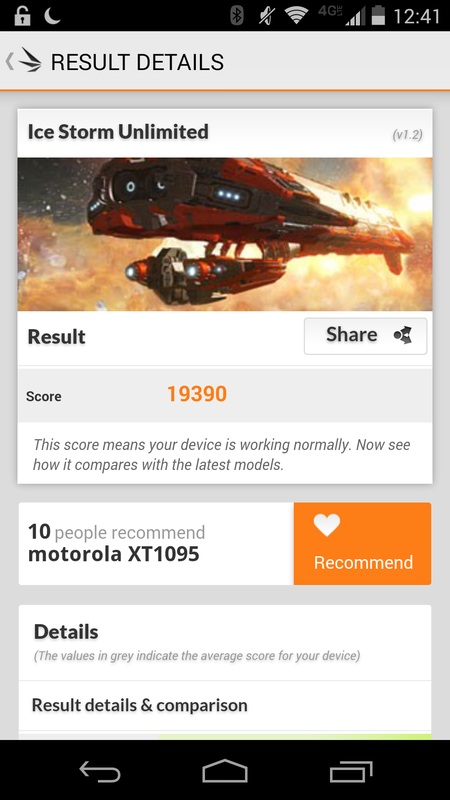 The screen on the Moto X, as previously mentioned, is a 5.2-inch 1080p AMOLED. Interestingly, it's got a PenTile subpixel array. Motorola went out of its was last year to explain it had sourced an AMOLED with a full RGB matrix, which looks better at 720p than a PenTile does. As I explained in the Galaxy Alpha review, even a good quality modern AMOLED with PenTile looks a bit wonky below 1080p. 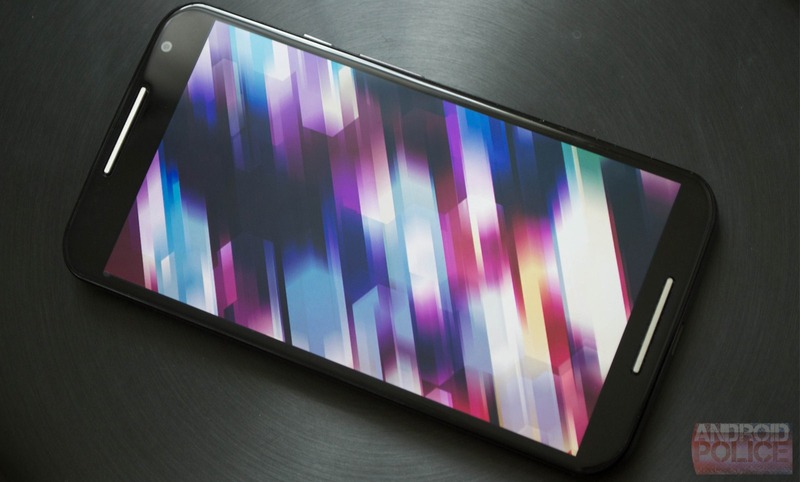 The screen on the new Moto X looks fantastic, though. The PenTile array uses diamond-shaped subpixels, which is what all of Samsung's new displays use. Text is crisp and colors are great, if maybe a little too warm. It reminds me a lot of the Galaxy S5's screen with the reds and oranges bumped up. I don't want to give the impression that the display is badly miscalibrated—it's very good for an AMOLED. Viewing angles seem good and the screen gets super-bright. At maximum I have no trouble seeing what's going on in direct sunlight. My only qualm (and it's admittedly rather small) is that the lowest brightness level is still really bright. It's not ideal for using in a dark room, but there are apps that can fix that, I suppose. 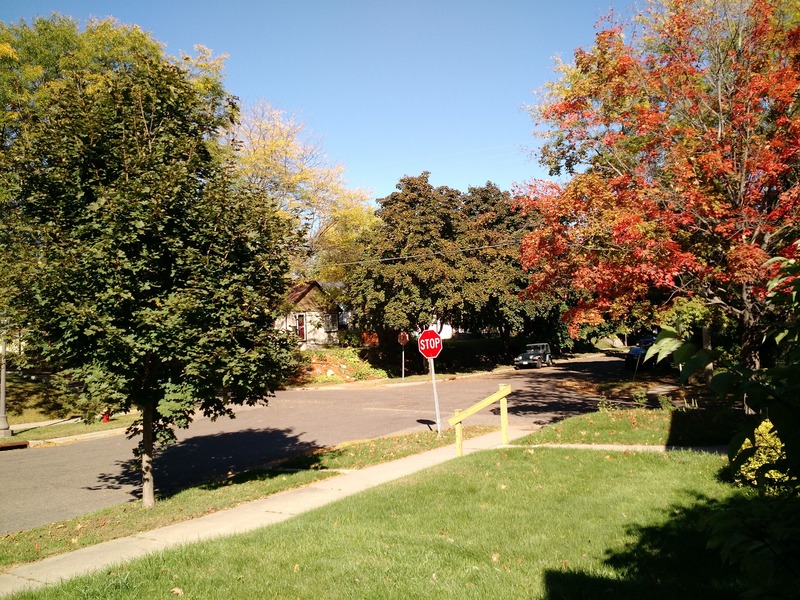 Despite Motorola's efforts to fix it through software, the 10MP camera on last year's Moto X wasn't very good. 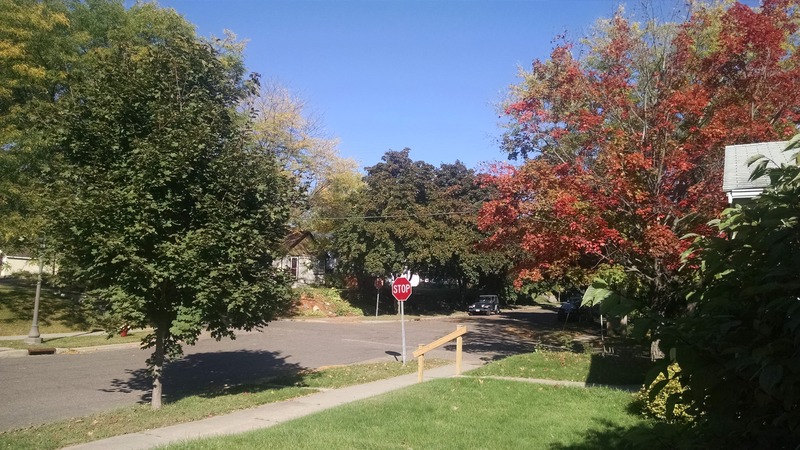 The bottom line is that the 13MP camera on the Moto X is better than the 10MP shooter on last year's model, but it's still not a match for the LG G3 or Galaxy S5. In bright light it takes good (even great) photos. The colors are accurate, HDR captures are fast, and the level of detail is more than acceptable. Photos don't look washed out like they did last year. Low-light is still an issue for Motorola, but not to the same degree as last year. Images still tend to get noisy and things generally turn out darker than you might expect. This is also where you feel the pain of no OIS as long exposures can get blurry. I have some comparison shots with the 2013 model below so you can be the judge. I don't think this is a case of choosing bad hardware—the sensor used in the new Moto X is the Sony IMX135. That same part has been used in phones like the LG G2 and Galaxy S4. It performed very well in those devices, so the Moto X's mediocre performance is likely due to the software. The reason Apple, Samsung, and LG have good cameras is that they've licensed or developed good image processing technology. Motorola has never been great at image processing, but hopefully that's something that can be improved in future updates. The relatively small, non-removable 2300mAh battery in the new Moto X has been pointed to by some as a deal killer. When flagship devices are launching with 3000mAh+ cells, how can the Moto X be competitive? To completely misuse an aphorism; it's not the size, it's what you do with it. 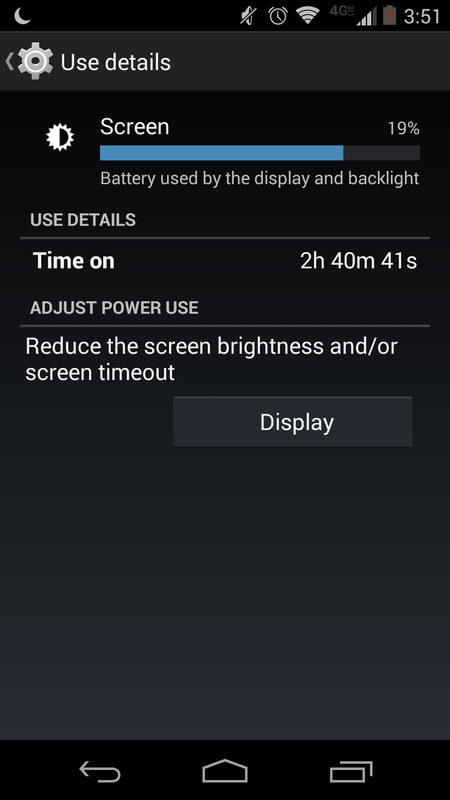 I'll get more into Motorola's software shortly, but suffice it to say the ROM is very well optimized. There isn't as much to go wrong and gobble up your battery. Samsung devices are particularly guilty of this. 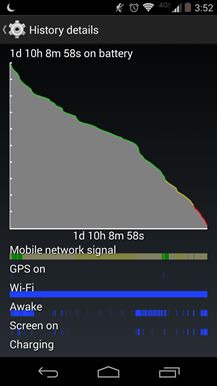 My experience with the new Moto X's battery had been extremely consistent. But has it been good? Yeah, it has been. 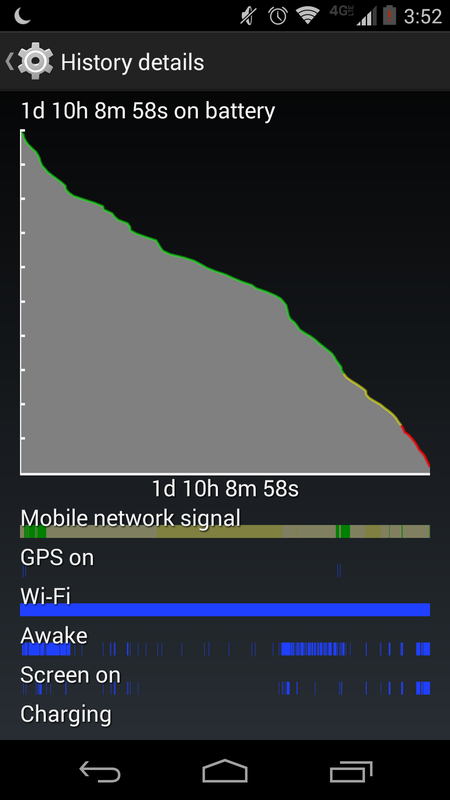 With what I would consider moderate use, the Moto X can run for about a day and a half. 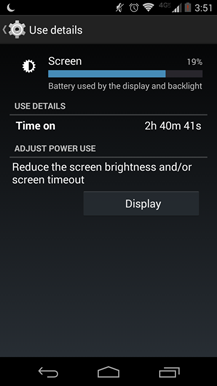 In that time you're looking at roughly 2.5-3 hours of screen-on time. This includes activities like GPS navigation, a few hours of LTE music streaming, and frequent push notifications. With heavy use, over five hours of screen time in a single day is totally plausible. You're not going to get three days of standby, a la the LG G3, but the battery in the new Moto X is more than good enough. Sure, a larger battery might be nice, but not if it means making the phone larger. Motorola struck a good balance here. 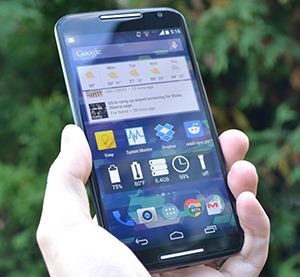 The new Moto X runs on Android 4.4.4, which is for this moment in time, the most recent version of the platform. Last year Motorola managed to push updates to the Moto X incredibly quickly, even on Verizon. It might have been a bit of a stunt all things considered, but the company again promises speedy updates for the Moto X. Yes, Android L is coming, but we don't know when. The general approach Motorola takes to Android has not changed in the last year—don't do stuff just because you can. 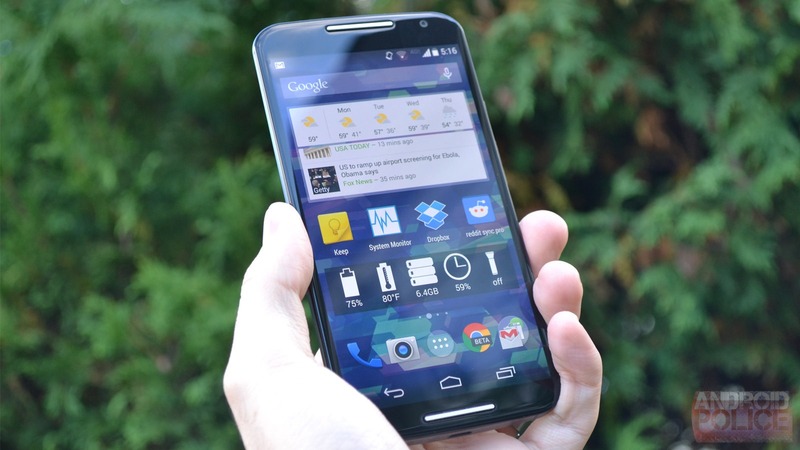 The Moto X adds value with distinct features in a way that no other OEM device does. It's like a Nexus phone, but better. Again, I fear the Nexus gods will strike me down for saying this, but if I had the choice, I'd use Motorola's take on Android over the stock Nexus build every time. I'll get to the reasons for this later, but Motorola knows what it's doing. Motorola is fond of using the word "pure" in referring to the new Moto X. That is, it runs pure Android without any heavy skins. If you have ever seen stock KitKat, you know what the Moto X's software looks like. 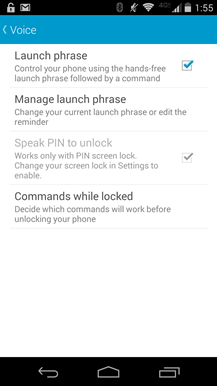 The notification shade, settings (well, most of them), and lock screen are all the same as a Nexus device. 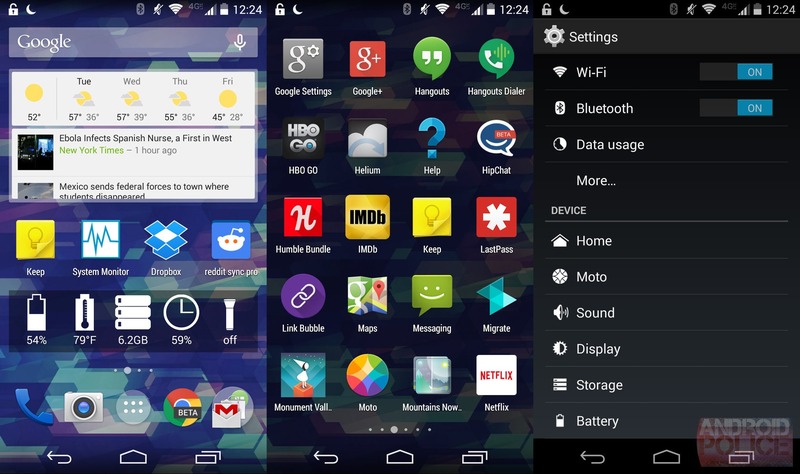 Even the home screen this year is the standard Google Now Launcher. It's easy to get used to how the Moto X works, and that's a good thing. The Snapdragon 801 powering the new Moto X is able to keep things moving smoothly with nary a hint of lag. Launching and switching apps is very fast. You want some benchmarks? Okay, here you go. You won't get as many pre-loaded apps and features, so some less experienced users might be a little put off. I mean, there's not even a stock weather widget installed. That's unusual in the grand scheme of Android phones. All it takes is a quick trip to the Play Store to rectify that situation, but still something to note. Let's get down to what makes the X different and just plain better than other Android experiences. There are four main features of the Moto X, all of which are now grouped in the Moto settings menu. This is the new name for Active Display from last year's phone. It does the same basic job by lighting up a few pixels on the screen while the device sleeps to alert you to notifications. Because the Moto X is AMOLED, all those black pixels use no power, so you can see what's going on without waking up the phone and wasting power. When a notification is available, the screen will pulse on and off every few seconds. Touching the icon shows the notification text and a profile image if it's a message. Swiping up opens the notification, down unlocks to the last screen you were on, and swiping to either side dismisses. It's the same as it was last year. One interesting change this time is that Moto Display has as many as three icons in the center of the screen for separate notifications (Active Display only showed the most recent one). The same swiping trick works with any of them. Another tweak is that Moto Display shows you the date and battery level at the top of the screen when you interact with a notification icon. Moto Display will automatically wake up the screen when you remove the device from your pocket, pick it up off a table, or just jostle it in the right way. 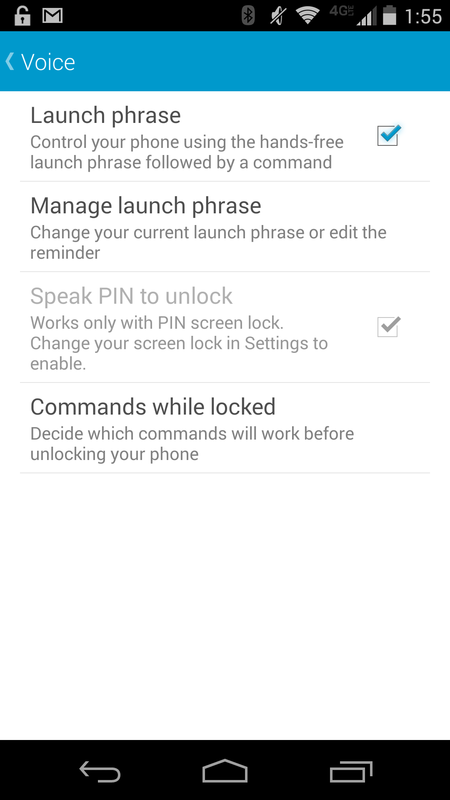 This allows for an easy swipe to unlock (or swipe to enter your password). The power button doesn't get a lot of use on this phone. In fact, Moto Display is even better because of the new Moto Actions feature. What's Moto Actions? I'm glad you asked. The new Moto Actions takes advantage of the four IR sensors built into the front of the device (the ones that make the white front look busy). They are there to detect movement—specifically your hand passing over the device as it's sitting on a table. 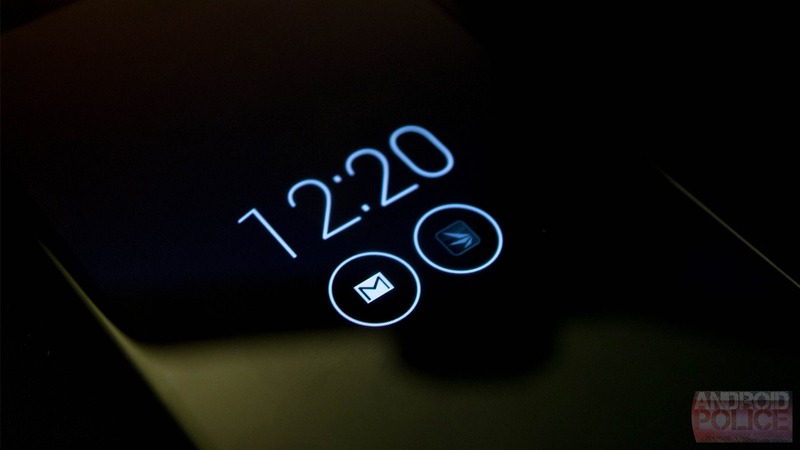 Just wave at the phone, and Moto Display will wake up and show you any active notifications, as well as the time. This is fantastic mainly because it makes Moto Display so much more usable. You don't even have to touch the phone to see what's going on. A quick wave, and you can unlock the screen in a single touch while the phone stays put. The sensors also work. Every. Single. Time. You cannot touch this phone without Moto Actions doing it's thing to make unlocking that much easier. A wave can also be used to silence a call or dismiss an alarm. However, I would point out these functions only work with the stock apps. That's not really a surprise, but still a bummer if you don't like the standard clock app. 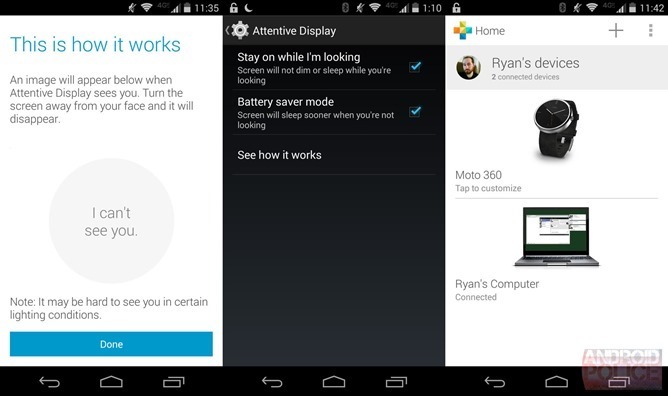 Moto Actions doesn't do a ton yet, but I have hopes Motorola will more fully flesh out the experience via updates. It already makes me feel like a Jedi when I wake my phone with a wave, so we have a good start. It's also an awesome party trick. 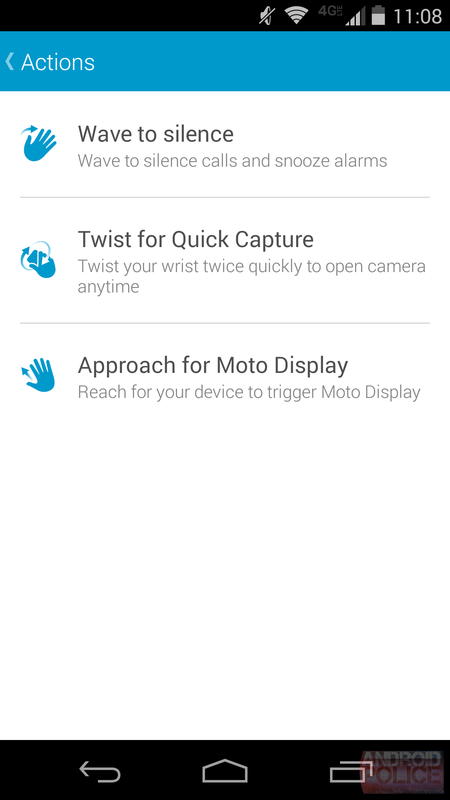 The camera twist gesture from last year is also rolled into Moto Actions, but it's just an orientation sensor thing. 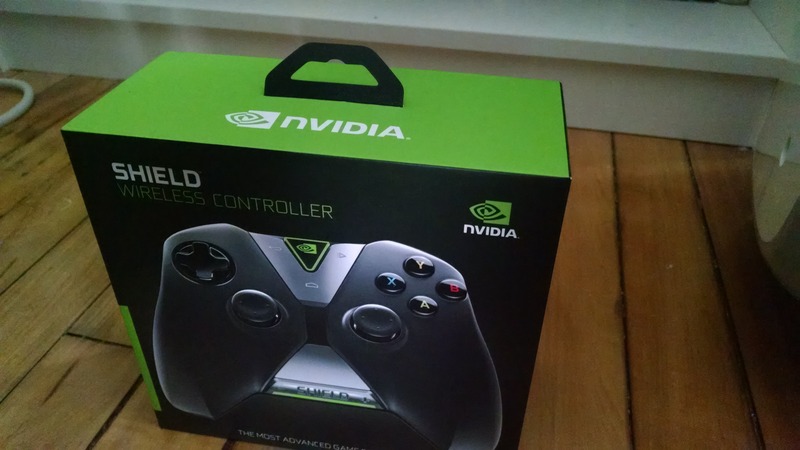 This is the new name for Touchless Control, which let's face it, was not a very good name for always-on voice controls anyway. It was one of the main selling points of the 2013 Moto X, but it was unique at the time. 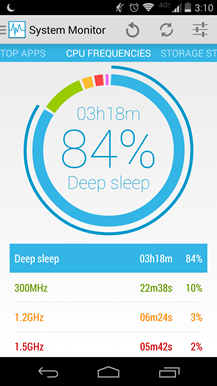 Other Android devices have since caught up a lot with the Google Now Launcher and updated Search app with support for voice controls when a phone is awake, or asleep and charging. 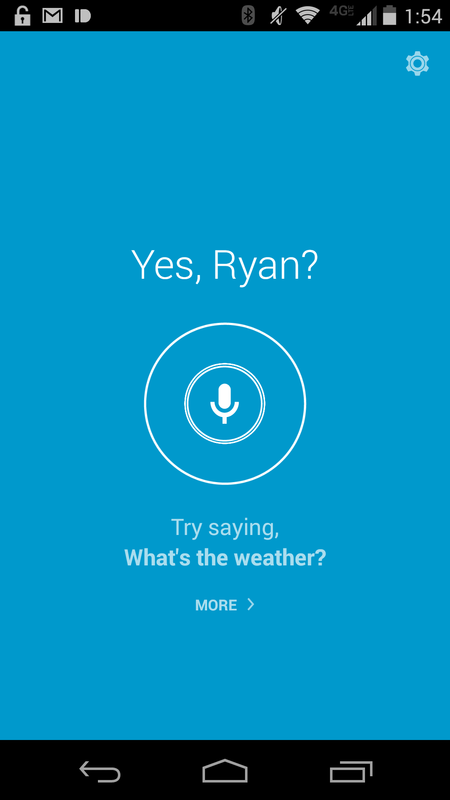 Moto Voice is still a better overall solution, but it's not without its issues. 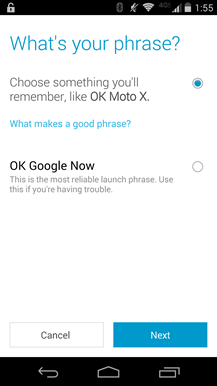 This year the big improvement is the option to set your own trigger phrase, which is great now that every device under the sun responds to "Ok Google." 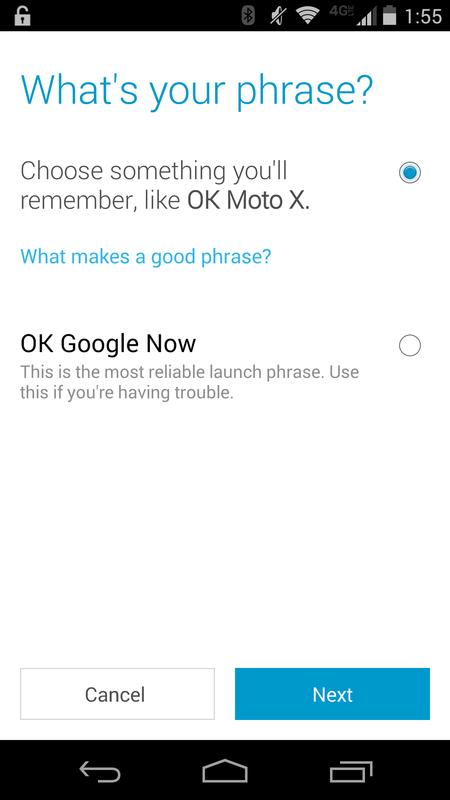 The process of picking a phrase is simple, and I'd say it works every bit as well as Ok Google ever did. 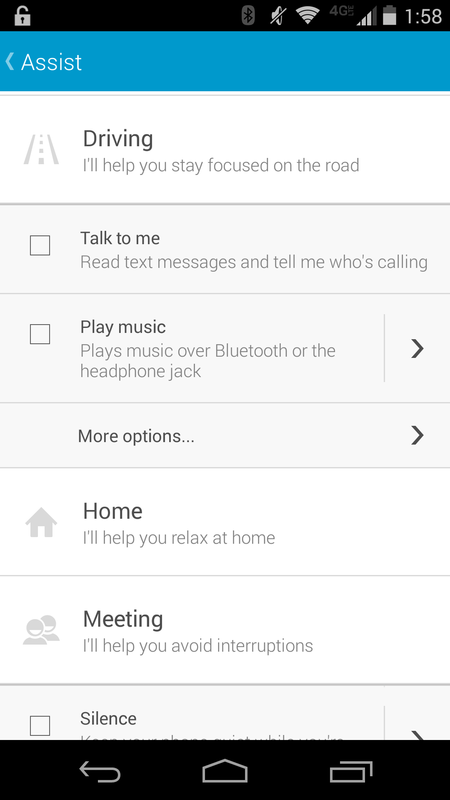 You can use Moto Voice to do things like make calls, get a rundown of your notifications, and make standard Google Searches. The only real issue I have with Moto Voice is that it seems to have a built-in delay when listening to your voice. 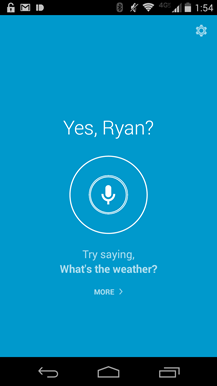 A regular Google voice search transcribes as you speak, but not Moto Voice. I suspect it does this to see if you're making a command specific to Moto Voice, or if it needs to hand things off to the Google app. Other than this quirk, Moto Voice is great—it's just a little less impressive than last year. Assist is the only core feature that hasn't changed its name. It also hasn't gotten any new features I'm aware of. It has everything that was added to the last gen Moto X via updates, but it still does what it's supposed to do. What does it do? 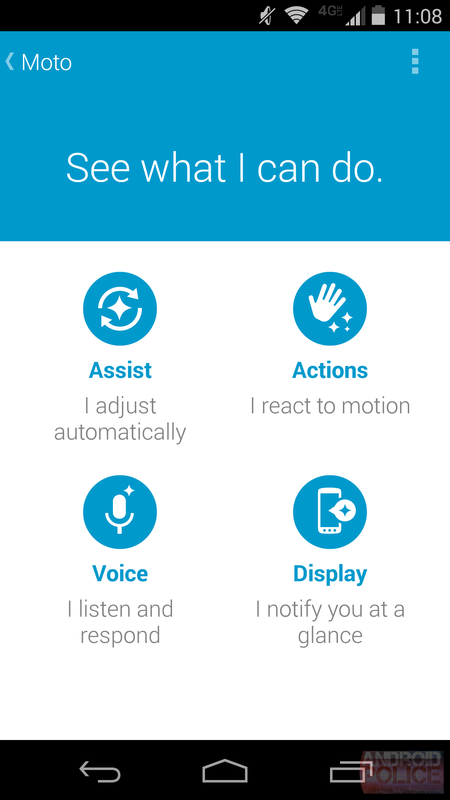 Assist recognizes time, location, and movement to trigger different settings. It's like Tasker, except it can be understood by normal human beings. 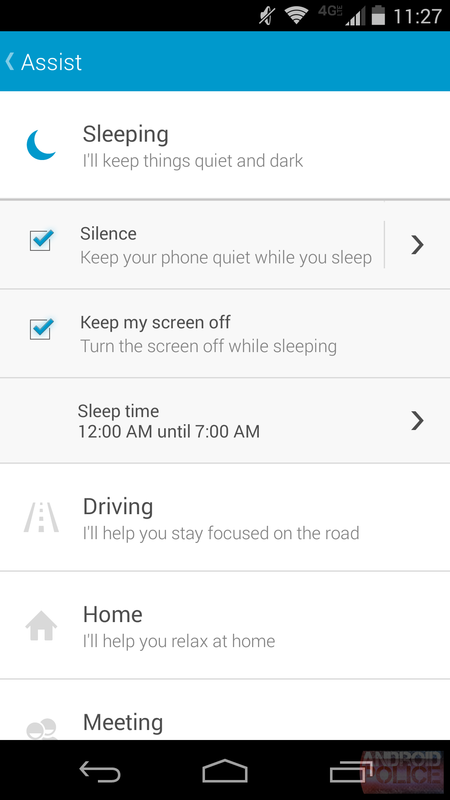 There are modes for sleeping, driving, meetings, and home. Each one has a few setting toggles. For example, sleeping can turn off Moto Display and silence the phone. Driving can read your messages as they come in, auto reply, and automatically route music over the Bluteooth or headphone connection. 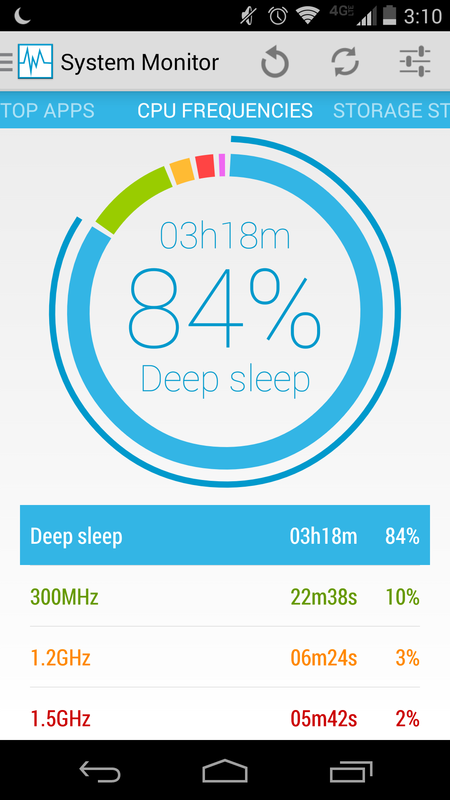 I use Moto Assist every day, but mainly for the sleeping mode. Your mileage may vary on this one, but it's a fine feature. The remaining tweaks to Motorola's version of Android are minimal. The display section has a new "Attentive Display" setting that supposedly keeps the screen on if you're looking at it and shuts it off faster if you're not. I assume it uses the front-facing camera for this, so it's like Samsung's Smart Stay, and it only works slightly better. You have to be looking pretty squarely at the screen to get it working, but this is a minor foible. It can be turned off if it ends up being trouble. Motorola Connect is also back again as an expanded service that allows for tweaking accessory devices like the Moto 360 (technically just that one for now). The phone app connects with the desktop Chrome extension to give you access to your messages and calls. This is another feature that has been replicated in a number of ways in the last year, but it's still neat. Okay, enough beating around the bush. There are a handful of issues with the new Moto X, but the good outweighs the bad by an order of magnitude. 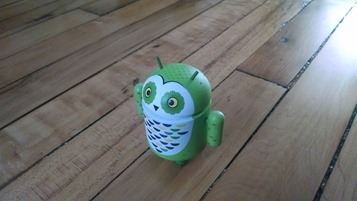 Overall, this is probably the best Android phone I've used in recent memory. It's fast, the screen is great, the design is incredibly slick, and the software is probably the best you'll come across right now. I also have high hopes for Android L on the Moto X as there won't be a skin obscuring what Google is doing with the revamped look and feel. Sure, the battery is smaller than many other flagship devices and non-removable, but it's more than acceptable in my opinion. The camera is passable this year—it's better than the 2013 Moto X, but the flagship devices from LG and Samsung take better photos. Likewise, two speakers might be cool. These might be deal breakers for some, but I feel like most potential buyers can and should look past them. The camera is probably the biggest issue for me personally, but even that isn't bad… it's just okay. If you need a phone that runs three days on a charge, that's totally fine. The Moto X isn't the phone for you. However, the Moto X is a fantastic phone in almost every way and the pricing is good for a new flagship device. You should probably buy it.